The San Antonio real estate community gathers at the La Villita Historic Arts Village. This cultural hub along the banks of the San Antonio River is a popular destination for shopping, eating, and just getting together. The history here is rich and the social roots planted are deep. Considered the very first neighborhood in the region the landscape was once dotted with rustic huts. Decades later a cannon line set the stage for the Battle of the Alamo right on the grounds. Today a variety of shops, galleries and restaurants offer a quaint place for friends to meet and spend the day. Away from big box retailers, little local businesses flourish providing one of a kind items to their clientele. Pop up boutiques feature designer clothing, leather goods, soaps and fragrances as well as handcrafted jewelry. 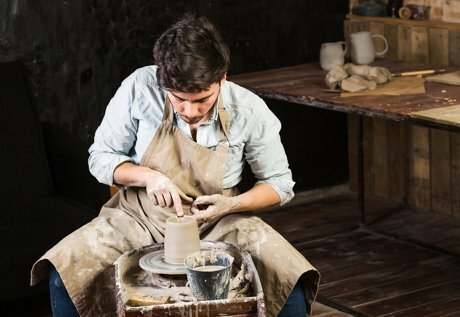 Those living in San Antonio seeking treasures to add as accents to their home decor will find what they are looking for. Stained glass art shines bright with color in the Villita Stained Glass shop. Day of the Dead artwork adds creativity to any area and can be found in Casa Manos Alegres. Multiple art galleries display works from local artists from San Antonio real estate. A favorite is the Little Studio Gallery which has supported regional artisans for forty odd years. Master potters proudly present ceramic pieces in the Village Gallery. Next door sits the Copper Gallery with copper creations on display. Workshop teach interested parties a variety of art techniques. Restaurants and eateries quench thirsts and satisfy appetites. Authentic Tex-Mex and Mexican dishes make mouths water in the Guadalajara Grill. When it's time for a juicy steak there’s nothing small about the Little Rhein Steakhouse. Elegant patio dining is divine at Fig Tree Restaurant. Wraps and sandwiches are tasty and refreshing. Found at La Villita Cafe meals here are perfect for light luncheons. As a one of a kind venue, The La Villita Historic Arts District provides the opportunity to both shop until you drop and soak up a little San Antonio history at the same time. Open seven days a week hours are Monday through Saturday from 10 a.m. to 6 p.m. and on Sunday from 11 a.m. to 4 p.m. It seems like all the world’s animals are living right on San Antonio property. And many actually are. At the San Antonio Zoo hundreds of international species thrive in natural settings. State of the art habitats emphasize surroundings found in the wild. Beasts of all sizes, shapes and colors welcome visitors to their San Antonio home. Roars from the Big Cat Alley are compared with glee to the cunning meow of the calico house cat at home. Lions shake their manes and strut their stuff maintaining the title of King of wherever they roam. Smaller cats like the clouded leopard and caracal prowl in the Cat Grotto. Meet the three bears in Bear Corner. Compare the differences between the black bear, sun bear and speckled bear. Avid bird watchers won’t want to leave the Bird House. Benches provide the perfect perch to rest on while spying out a variety of species from the South American rain forest and Asian jungle. Giraffes stick their necks out in friendly fashion saying hello to Rhinos stomping nearby. Conservation through education is a key principle of the San Antonio property. A variety of programs diligently work with bringing awareness of the plight of animals living in wilderness areas around the globe. Theme days occur on the grounds throughout the year. Highlights include April’s Earth Day celebration, World Water Day, Global Tiger Day and Bones, Bats and Bugs. The Roars and Snores overnight programs cater to both large and small groups. Gatherings showcase animal encounters, night tours, fun activities, snacks and a continental breakfast. Espeicially for toddlers, Kronkosky’s Tiny Tot Nature Spot emphasizes keeping busy. Playleaders stimulate the senses focusing on early education and a developing a love of nature. Animal ambassadors often make guest appearances to the delight of children and their parents. Everyone’s favorite animals seems to be at the San Antonio Zoo. Foster a love for these creatures whose species depend on all of our goodwill to survive in their natural habitats. 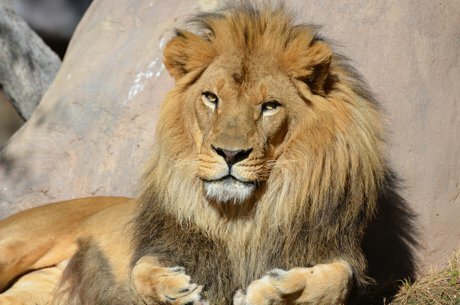 Open year round, view the zoo calendar for current hours. Explore San Antonio property from top to bottom at the Natural Bridge Caverns. Setting up for adventure, Mother Nature impresses from her glorious shady treetops to luminous yet shadow filled underground caverns. Scientists are in their element with botany, biology, geology and archaeology setting the scene all around. Adventurers soar from the skies as they traverse elevated obstacle courses. High above the treetops the Canopy Explorer features an exhilarating zip line and awe inspiring balance course. Guests challenge their bravery and skill as they conquer fear of heights by digging deep and playing hard. Over forty obstacles thwart laziness including the Crisscross Tight Ropes and Burma Buckets. While up in the air nature lovers spot favorite species of birds and other wildlife as well as local flora and fauna. Children living in San Antonio homes get in on the action too with the Canopy Kids Course. Designed just for them, littles as young as toddlers have their own place to balance, jump, and triumph. On the ground level the whole family can conquer the Amazen Ranch Maze together. A time honored recreational platform, mazes intrigue one and all. Twists and turns can cause confusion and a sense of disconnect. Towers and bridges help the lost gain perspective. And, it’s often fun for participants to keep track of time and see how fast they find the exit. Underground exploration is the name of the game. 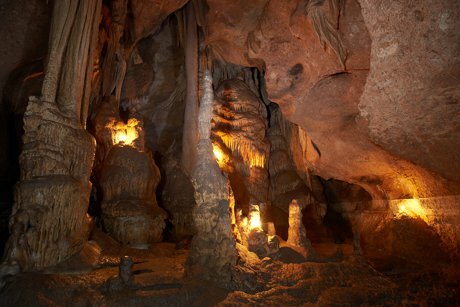 In the 1960’s two energetic college kids discovered the Natural Bridge Caverns. Since then generations have toured the area enjoying the sights and soaking up knowledge of the geological wonders they observe. The Discovery Tour takes sightseers almost 200 feet under the ground. Here magnificent flowstones, stalagmites, stalactites, and ancient formations are awe inspiring. Take a peek at the Discovery Tour here. Hidden Passage tours take the exploration further with some of the most stunning geological structures along the route. Delve in deep during the Lantern Tour. Held only once a day at 9 a.m. this morning tour shines a light deep into the shadows of the earth.